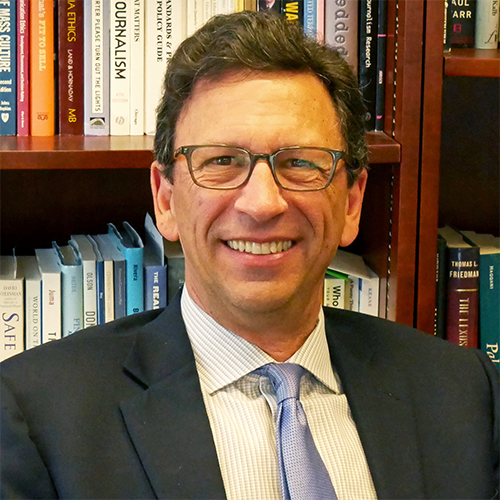 Emmy Award-winning journalist Frank Sesno is Director of the School of Media and Public Affairs at the George Washington University, and author of Ask More: The Power of Questions to Open Doors, Uncover Solutions, and Spark Change. Abstract: In this age of assertion, acrimony, and rampant misinformation, relying on the art of inquiry to guide us is more important than ever – but it’s a discipline few ever learn in a structured, intentional way. This talk will share keys to asking questions effectively and listening actively, as well as unique insights from some of the world’s best questioners. The talk will include lessons from the scientific approach to inquiry, which instructs us to invite criticism, embrace uncertainty, and endeavor to prove ourselves wrong en route to discovery. Finally, the talk will discuss the critical role of inquiry in current events, with a special focus on media, governing, and the world of politics.